This 90-minute comprehensive session is designed to cultivate better health, energy, mood and balance in your life. The initial consult can be utilized as a one-time session to gain the information and expertise you need to start or clarify your nutrition & lifestyle plan OR you can choose a more comprehensive and supportive package focused on healing underlying health conditions, which includes a holistic coaching approach. See follow-up sessions and package offerings below. Written recommendations for your personalized and detailed nutrition, lifestyle, supplement & mindset plan. A follow-up session is 60-minutes and can includes holistic nutrition coaching as well as reiki energy clearing and balancing (optional). Krystal combines several healing modalities to personalize an on-going program that is sustainable and transformative for YOU. 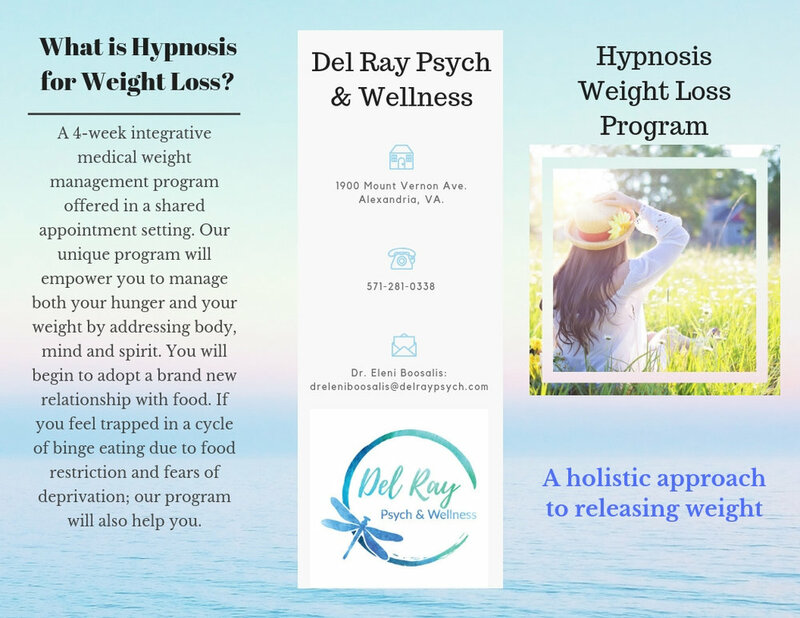 *Existing Del Ray Psych & Wellness clients receive a 15% discount. If you’re ready to completely revitalize your health and mindset and need consistent guidance + accountability to create new healthy habits & routines; then this is the program for you. If you are tired of feeling tired, burned out from life’s demands, yo-yo dieting, re-living the same old patterns over and over and you are READY to create a new level of energy, vitality, awareness and break free of health conditions holding you back; then I want to be the expert, the healer, the light that guides you on your health journey. Complete health assessment & identifying underlying health conditions and/or nutrient deficiencies. May include lab requests from your doctor. Weekly written recommendations for your nutrition, lifestyle, supplement & mindset plan. If you’d like to learn more about our holistic nutritional counseling, please provide the following information and we will contact you within 48 hours. Recharge your work day with reiki energy healing, aromatherapy, meditation, mindfulness and quick nutrition and/or lifestyle tips. Studies show that reiki reduces stress, anxiety and depression while allowing the body to facilitate its own healing capabilities. Reiki restores balance in the body and mind and will leave you and your teammates feeling ready to crush your work day with increased productivity, efficiency and a positive mood. What’s the best part? WE TRAVEL TO YOUR LOCATION (If within a 10 mile radius). All services can be lengthened if desired. The current program is designed for efficiency at the workplace, and we are happy to accommodate your company’s individual needs.